3 What Does Sensory Mean? 4 Sensory play and brain development – Why is sensory play important? 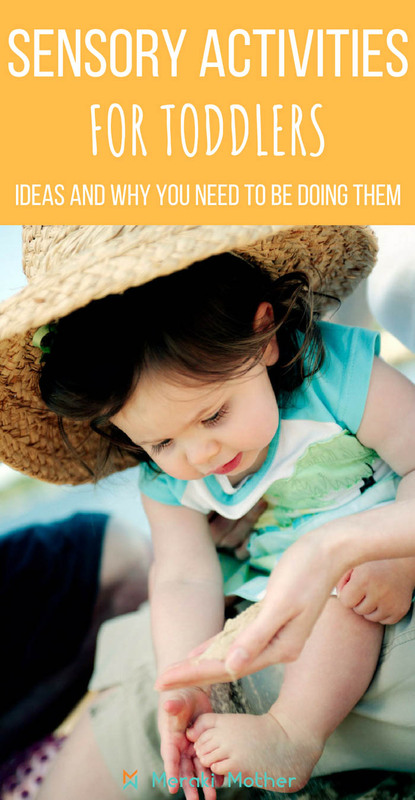 7 How to Make The Most Of Sensory Play? As a parent, you might have about how important sensory activities for infants are and the benefits of sensory play in children’s development. But did you know what Sensory Play is? Or what sensory play and brain development have to do with each other? We have put together this informative and easy to understand post for all parents to tell you why sensory play is so beneficial for children. We will also show you how you can help brain development in your child through sensory play. 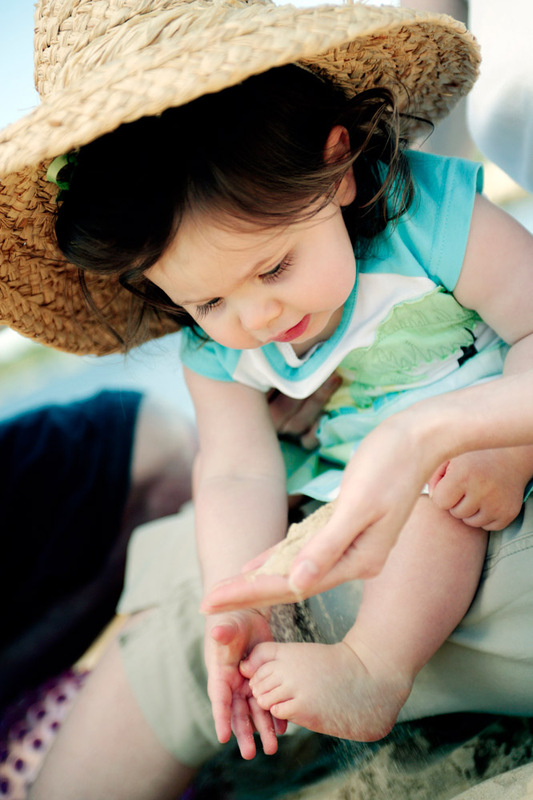 This may be through special sensory toys for toddlers, but don’t worry it can also be through such simple and fun activities as playing in the sand. As well as learning about sensory play we will help you enhance your child’s learning and development through fun hands-on activities and ideas. Firstly you are probably asking, What is sensory development? Everything we do as humans involves our senses. Through a mix of these senses, we learn to explore and experience the world. Each time your child uses one of their senses to discover and learn they are building new neuronal pathways in their brain and strengthen pathways that are already established. The easiest way to help sensory development in infants is through play activities for toddlers. So, what is sensory play? You will have probably noticed that sensory exploration is a natural way for your child to learn. How many times have you had to take something out of your toddler’s mouth? We are guessing more than once today. Sensory Play is all about providing safe and fun activities that stimulate a child’s senses and allows them to learn how to respond to different sensory information. Activities that provide different textures, sounds, smells, or let a child experience differences in movement and space are all part of sensory play. Although we often try to teach our children through explaining how things work, letting a child learn through play for themselves is such an important part of any child’s development. By helping them learn how to use and process their senses you are helping to become a healthy and adjusted adult. Sensory play and brain development – Why is sensory play important? Kids love all the messy and fun play but what are the benefits of sensory play in child development? We have already explained why is sensory play for babies important in the development of their brains and neurological pathways. There are many other benefits though. One of the most obvious is the ability to learn sensory attributes. Through play, children learn what cold, smooth and rough are. What smells nice, what doesn’t and lots more. All this learning also helps enhance their memory too. Sensory play for kids encourages children to naturally use scientific process to explore and understand the world. We may not think about it as adults as it comes naturally, but it is a vital life skill to be able to observe, form a hypothesis, experiment and make conclusions. Although it may seem basic, your child learning to identify the difference between smooth and rough for example, leads the way for them to be able to use scientific method to discover and sort more advanced knowledge as they grow. Playing with sensory items such as homemade play dough requires lots of small muscles to cooperate to shape, squeeze and roll. If your child plays with a friend they will often learn from each other. They may share new knowledge and play games together too. All these are helping your child be more social and communicate with others. Through experimenting a child will learn to associate sensory experiences. If that ice was cold last time they played, the ice in a drink will probably be cold too. Children learn how to describe the world around them through their senses. They may tell themselves stories while playing too. All these help develop important language skills. A child will also be learning to communicate, not only as stated previously with social interaction but also in describing the world around them. As your child explores, they are learning about themselves. By seeing how things make them feel and their preferences they are developing a stronger sense of self. Do they like the feel of cotton wool or does it give them the shivers to touch it? Learning your likes and dislikes is a great skill to have. Who would have guessed there would be so many benefits of messy play! Another great benefit is that your child is learning how to self-regulate emotions and responses. If you have a child that gets frustrated or anxious easily there are so amazing sensory activities that help them learn to calm themselves. Now we know the benefits of sensory play, let’s find out what is sensory experience. You may be used to hearing about our 5 senses but we actually have 7 main senses. 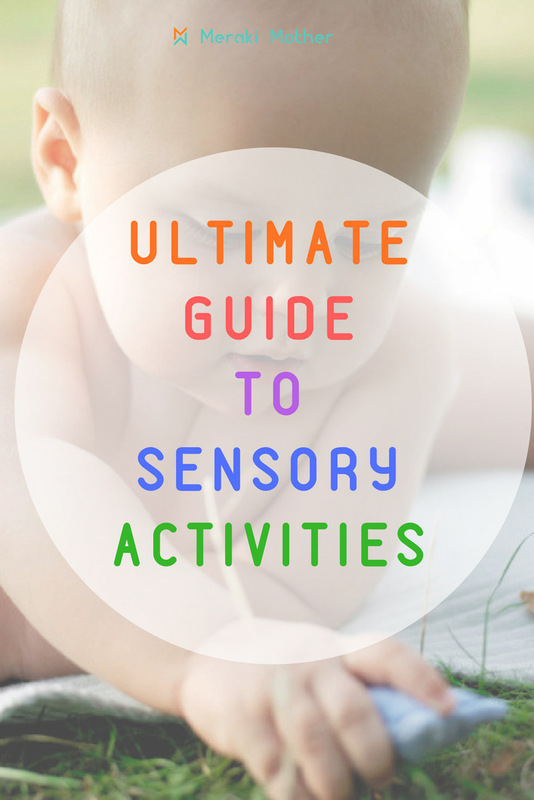 So, what are the different categories of sensorial activities? Learning all about taste is such an important sensory development in toddlers. Learning about different tastes is are great sensory skills for toddlers who may be fussy eaters. Letting a child learn positive association with different tastes can get a help with healthy eating in childhood. On a plate put food of different textures and tastes. Think salty, sweet, sour, no taste ( like water), smooth and crunchy or lumpy. Let them mix the food together and use their fingers to grab and play with the food. 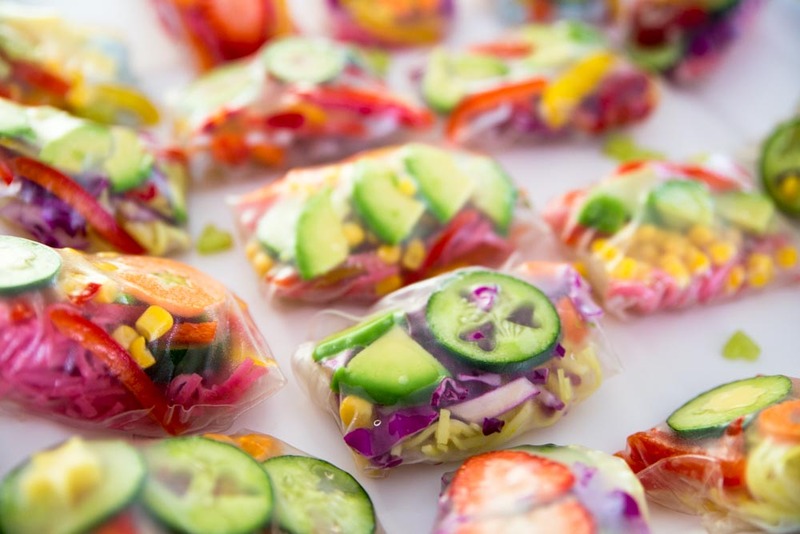 Create a dish that contains lots of colors, textures, and tastes like these Healthy Rainbow Snacks. I don’t know about you but even as an adult I often have the urge to touch something, just to feel the texture. There’s more to touch then texture though. Think about hot/cold and even movement with things like vibrations. 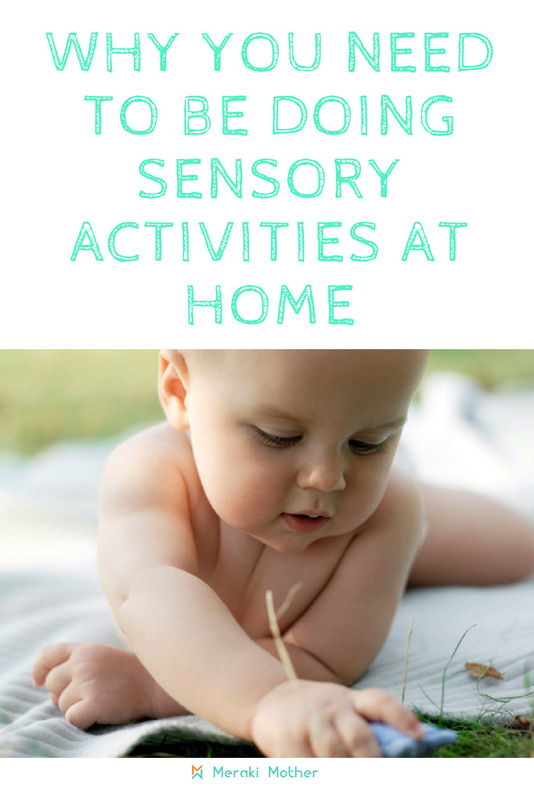 These activities are most likely to be sensory motor skills activities that help strengthen and develop your child’s muscles. Think of things like sensory bags for babies. The best sense of touch activities for preschool children are Sensory Tables. What is a sensory table? These can be as simple or as complex as you want to make them. For the most simple sensory table ideas for toddlers place items on a child-friendly surface that encourage exploration and problem-solving. Pouring water through different size funnels and tubes, and into different sized containers. Water play for babies is such a great way to create a touch sensory experience. You could then add sand for even more discovery opportunities. 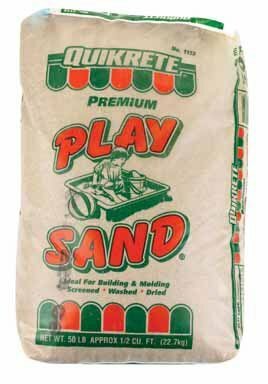 “The materials children work with at the sand and water table have many sensory attributes — they may be warm or cool, wet or dry, rough or smooth, hard or soft, textured or slimy. Discovering and differentiating these characteristics is a first step in classification, or sorting — an important part of preschoolers’ science learning and discovery” Gainsley, 2011. Create an environment that will encourage imaginative play and exploring with dirt, rocks, sand, and pebbles. Then add such things as leaves, twigs, and even toys like trucks or dinosaurs. Fill a container with uncooked rice. You could color this, and even add essential oils to provide more sensory experience. Then provide cups, jugs, small spoons and other tools. Make sensory tables fit the season or upcoming holidays. For Fall think of different size, shaped and colored leaves. In Winter you could have pine cones and other fun items. 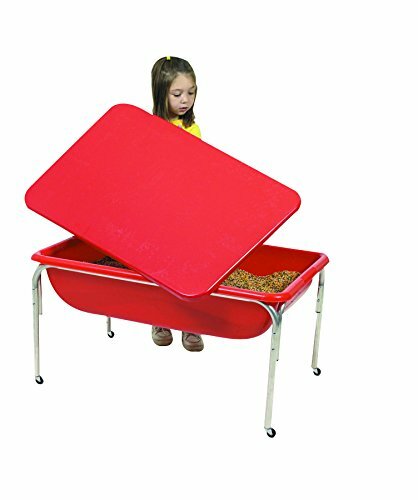 Need a sensory table? We love this one. How many times have you smelled something to identify it when sight alone isn’t enough? 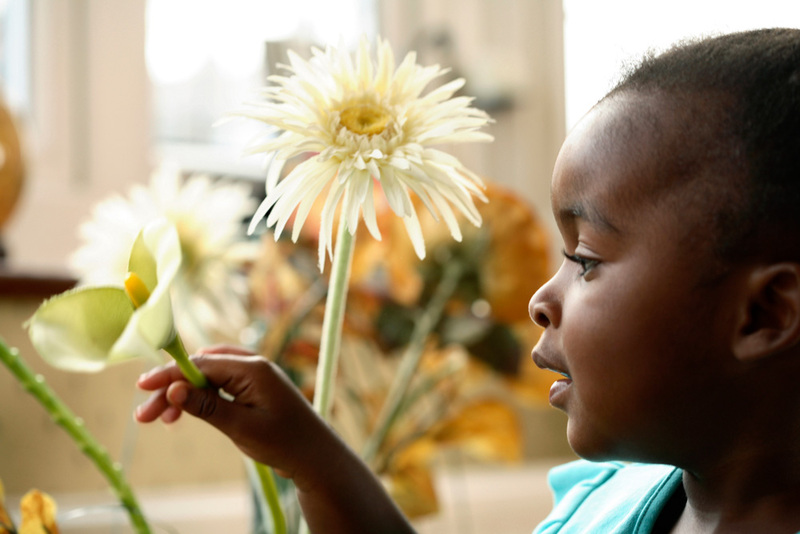 Smell sensory activities for toddlers and infants help them identify things. You could provide different scented foods, flowers or scented sensory bins. Make this simple Cloud Dough and add essential oils for different scents. Some ideas are lavender, mint and lemon. Uses spices. We created this pumpkin spice play dough but you could use spices and herbs like cinnamon, rosemary, and ginger. This can be subtle sounds like small ways things crunch or louder. How do different music sounds or songs make then feel? You can have a lot of fun with hearing sensory items for kids. Fill containers with different items to create shakers. Dried beans, rice and water are just some ideas. Go on a nature walk. Listen for what animals you can hear like all the different bird calls. Walk on crunchy fallen leaves or splash in puddles. Sensory bags for infants. 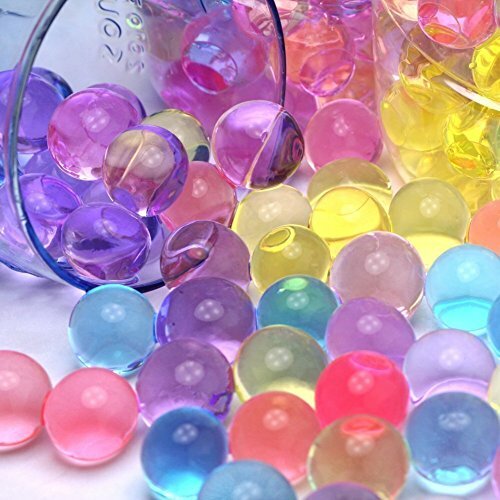 Fill large sealable bags with brightly colored paints that mix or multicolored water beads. 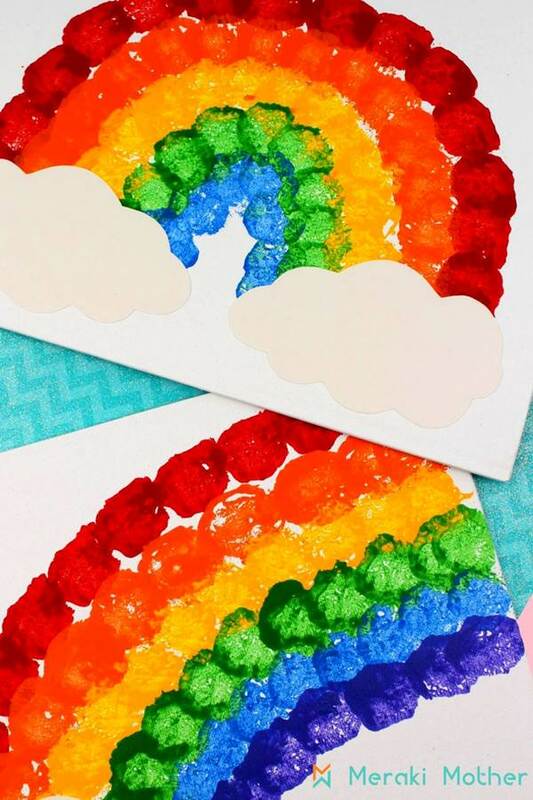 Use sparkles to catch the light like in this fun glitter play dough. Make shadow animals with your hands. 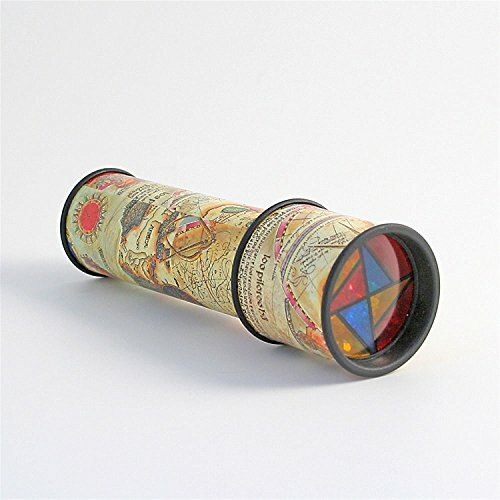 Watch light and color dance with a kaleidoscope. We often forget this important sense which is all about balance and movement which is centered in our inner ear. Early sensory play around vestibular sense will help your child feel safe and confident when trying activities like climbing, jumping, doing somersaults and swinging. You don’t need to buy any special sensory items for toddlers to develop this sense. Help your child balance. Find some fun child yoga poses and get practicing. Let them bounce ( either sitting or laying ) on a large exercise ball. Play ball games that involve kicking and catching. Proprioceptive can also be known as body awareness. How muscles and joints work to help movement. A child needs to feel their muscles working to get a great body awareness. 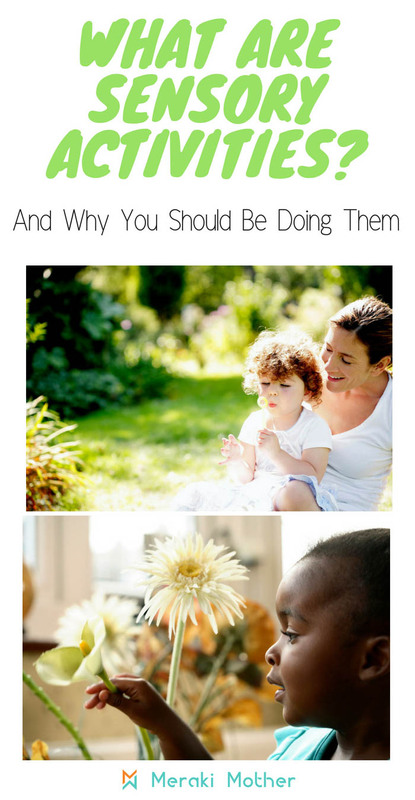 Letting your child help dig in the garden with spades and other tools. 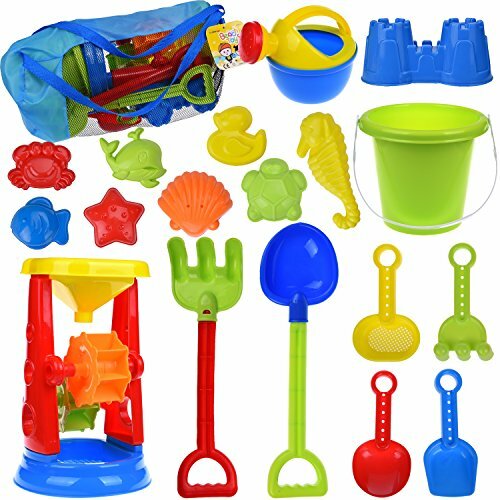 You can find kids great kids gardening setshere. Let them work out with you. Try some push-ups, sit-up, and planks. Ask them to help you lift things. Maybe some books or helping to bring the shopping in from the car. Still stuck for ideas? Click here to go to our Ultimate Sensory Activities ideas. How to Make The Most Of Sensory Play? You can choose to focus on just one of the 7 senses or create fun sensory activities that engage a few or all of them. For example, taking a simple walk to your local park will stimulate all a child’s senses. You can listen and try to identify all the sounds you hear together, smell flowers on the way, pick up different leaves and sticks to learn textures, and make a game that involves walking, jumping, hopping, walking backward etc. Two of the main things to remember about sensory play is to let the play be child led. Let them make the decisions and choices. And the other is to be prepared for a mess. Worrying about the cleanup or telling your child not to make a mess is the quickest way to destroy an amazing learning environment. To allow your child the freedom to be messy, be prepared. Choose a place where it is easy to clean up then use tools and equipment that cannot get ruined such as an old art table. Place plastic sheeting on the floor, wear old play clothes and keep the cleaning wipes away till after all the play is over. As you can see, the importance of sensorial education and play for kids cannot be underestimated. Through simple play and activities, you are helping to lay a strong foundation in all major life skills. 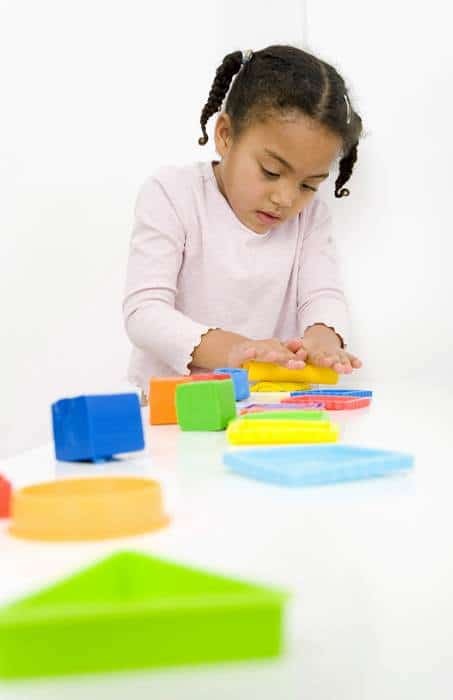 From memory skills to problem solving and math, by providing fun, safe sensory play you are giving your child a big advantage for all their further learning and education.